- Paul Tudor Jones, one of America’s most successful hedge fund managers. - The emotional parallels between today and the end of the late 1990s bull market are striking. It’s a trying time for value-oriented investors as richly-valued stocks continue to rally in the face of weakening fundamentals, a painful commodity bust, and shaky credit conditions. - Believe it or not, in the long-run valuations do matter. I’ve learned over the course of several decades that if you radically overpay for stocks, and don’t get out in time, you are going to lose money… even if you remain invested for many years. - Fortunately, markets rarely correct all at once. Even in a clearly overpriced market, opportunities can emerge that offer attractive current yields, the potential for compelling long-term returns, and meaningful margins of safety versus high-flying momentum stocks. - Just as previously beaten-up assets dramatically outperformed the NASDAQ from 2000 to 2002, today’s laggards will likely become tomorrow’s leaders. Investing in out-of-favor asset classes like MLPs, energy stocks, Canadian REITs, and high-grade/high-yield bonds demands enormous discipline and great courage at this point in the cycle. But I believe these positions – alongside large cash reserves and a healthy allocation to US Treasuries – offer the best way forward as the bull market takes its dying breaths. The more things change…A stock market led by a shrinking number of outrageously high PE stocks. Margin debt rolling over from an unprecedented peak. A formerly thermo-nuclear IPO market notably cooling. Stocks selling for one of the loftiest price-to-sales ratios ever. Real estate values in Seattle and Silicon Valley at silly-high levels. The US dollar rocketing, especially against emerging market currencies. Credit spreads expanding dramatically. A lengthy economic expansion appearing increasingly winded. Oil prices trading well below production costs. Master Limited Partnerships (MLPs) under severe pressure. This all sounds a lot like current conditions, right? The answer is yes, but it’s not the period that has been circling back to my mind like an expertly-thrown boomerang. Rather, I’m referring to early 2000, when the biggest stock bubble in history was about ready to meet its maker. One of the reasons I’ve been reflecting on that era so frequently of late is the similarity with how I felt then compared with now. Few EVA readers knew me in those days, so my constant verbal warnings—along with a few of my newsletters calling out the bubble—have mostly disappeared into nothingness (as have many of the most popular stocks of that era!). But I can assure you I will never forget the year-after-year discomfort, starting in mid-1997, when I began to feel like I was trapped between my value-oriented DNA and one of the greatest greed cycles of all time. Unfortunately, for my psyche—not to mention my poor wife—unhappy days are here again, at least in our household. As my partner, Charles Gave, likes to say, a bubble is a market in which you’re underinvested and a bull market is one that you’re riding like Slim Pickens in “Dr. Strangelove” (okay, I paraphrased Charles on that last part). Actually, though, the metaphor works pretty well because, at the end of Stanley Kubrick’s classic tragicomic film about a nuclear game of chicken, Pickens’ character is yee-hawing on top of an atomic bomb as it plummets toward Mother Earth—which also happens to be Mother Russia. And that’s exactly what anyone who was riding tech stocks in early 2000 was doing—blithely joy-riding on the financial market equivalent of a nuclear payload. Meanwhile, your EVA author was apologizing on a daily basis for earning 10% to 15%-type returns when 50% plus was as commonplace as new-issue dot.coms (which, back to my analogy, soon became known as dot.bombs). In addition, a relatively new asset class—MLPs—of which I had become increasingly fond, was not only lagging the overall market, they were actually declining. As a result, cash flow returns of 10% or more were routinely available. Pretty much anything that was viewed as part of the “old economy”—and all things energy-related certainly were—was being marked down, often to ridiculously cheap prices (and high yields in the case of MLPs). It was exponentially embarrassing to be holding securities that were declining when the overall stock market and, especially, the NASDAQ, were going vertically asymptotic—a fancy phrase for straight up. Well, as the French like to say, the more things change, the more they remain the same. When a boom was truly a boom. As indicated in the opening paragraph, there are a considerable number of parallels today with the tail-end of the 1990s bull market, including that the NASDAQ—led by a select group of super-high P/E stocks—is the star. Another echo is how universally detested emerging markets are, just as they were 15 years ago in the wake of the Asian crisis (when Hong Kong housing prices tanked by 75%!). Yet, there are some striking differences as well. For one thing, interest rates actually existed back in 2000. T-bills were yielding around 5% and 10-year treasury notes were returning close to 6%. The Federal government was churning out large and consistent surpluses, causing former Fed Chairman Alan Greenspan to publicly fret that Treasury bond market liquidity might be seriously impaired as most of America’s debt would be retired by 2010. Suffice to say, he was just a little wide of the mark with that forecast. Another difference was the swelling level of societal confidence. At the turn of the millennia, America stood supreme around the world and our national self-confidence was at a high rarely seen in the post-WWII era. Additionally, the US was not yet demographically-challenged and our economy had just enjoyed a wonderful decade of 3.3% GDP growth (unlike the measly 1.5% we’ve endured over the past ten years). Productivity, the essential ingredient for a society’s prosperity, had been improving at a rate unseen since the go-go days of the 1960s. In short, it was a real boom…in glaring contrast to the current economic dud whose fuse policymakers have been trying in vain to light for years. Regrettably, like all such periods of euphoria and soaring asset prices, it came to an abrupt end. The tech bubble crash was the first dagger to the heart and then the 9/11 tragedy applied the coup de grace. As a result, America’s sense of self-assurance and limitless prosperity vaporized almost overnight. Yet, in point of fact, most stocks had begun to crack in the spring of 1998, a full two years prior to the tech wreck and over three years before September 11th. This brings up another difference compared with today: By early 2000, most small- and mid-cap stocks, particularly of a value nature, were as cheap as gas at Costco these days, thanks to a nearly two-year stealth bear market. Now, 15 years later, the complete opposite is true. This is why, as noted in several prior EVAs, the median price-to-sales ratio is the highest ever (the median is the mid-point between the largest and smallest members of the S&P 500; thus, when it is elevated, as it is currently, it reflects high valuations for non-blue chip stocks). But what hasn’t changed is the pain of challenging the collective wisdom of markets, causing me a most uncomfortable flashback. Clearly MLPs were even “yieldier” back then but considering that the 10-year treasury was yielding 6% in early 2000 versus 2.2% today, the relative return advantage is far greater now. 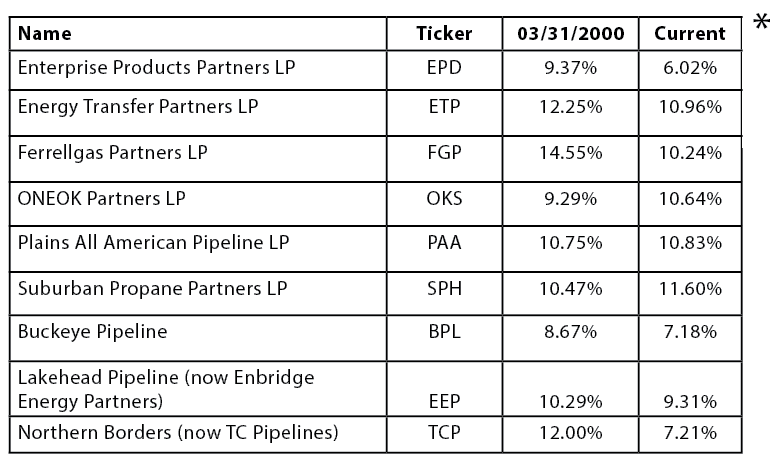 Obviously, the current distribution yield on Enterprise** isn’t as mouth-watering as many of its peers, reflecting the fact it has raised its distribution for 45 consecutive quarters. It also has one of the most limited partner-friendly structures (no general partner cut) and distributable cash flow that is almost a third higher than what it pays out. Despite these considerable strengths, even Enterprise is yielding two and a half times as much as the current 10-year Treasury note which, by the way, will still be paying 2.3% in five years when Enterprise is likely to be yielding over 7% (assuming a conservative—for it—5% annual distribution growth rate). In addition to MLPs, almost everything energy-related—either directly or indirectly—has been crushed. This is another resounding echo from that time many years ago when any and all investments in the old economy were viewed as endangered species and the prevailing attitude was that oil would stay plentiful forever. * The specific securities identified and described do not represent all of the securities purchased, held, or sold for advisory clients, and you should not assume that investments in the securities were or will be profitable. EPD, ETP, FGP, OKS, PAA, SPH, BPL, EEP and TCP are used to show examples of differences and similarities in MLP yields in March of 2000 compared with today. You should not assume that an investment in any of these securities was or will be profitable. 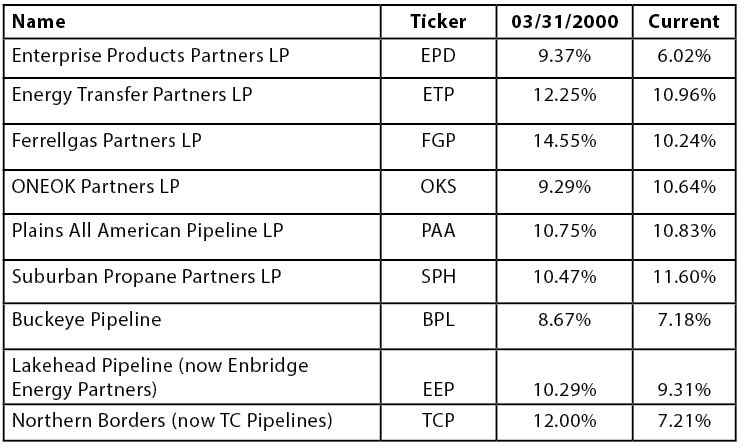 ** ECM currently holds Enterprise Products Partners and Plains All American Pipeline and purchases them for client accounts, if ECM believes that it is a suitable investment for the clients considering various factors, including investment objective and risk tolerance. You should not assume that an investment in any of these securities was or will be profitable. Trough oil, the sequel. The primary culprit for the savaging of the energy sector has been, of course, the collapse in crude prices, with natural gas prices shrinking to pilot-light levels being a close accomplice. This is exactly what was happening in the late ‘90s as tech stocks were doing their moon-shot. Crude fell to $10.70 per barrel and natural gas was trading around per $1.62* (versus $2.50 today, even for the prime winter heating months). 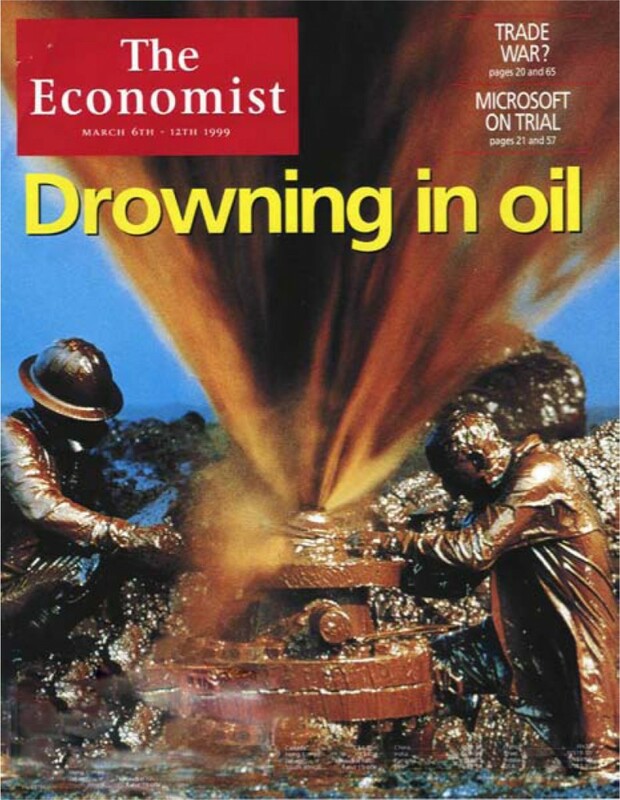 The Economist ran one of its more famous (and famously misguided) cover stories in March 1999, when it declared the world was drowning in oil. It wasn’t too many years later when all that excess crude had suddenly evaporated and the new “zeitgeist” was peak oil. Admittedly, oil was in the low-teens as the tech bubble was inflating to gargantuan proportions, which is a lot lower than the $45ish level at which it resides today. That’s why it’s crucial to understand the costs of incremental production, particularly for the shale oil producers who have largely caused the current glut. The hottest area for “fracked oil” has been North Dakota’s Baaken. A recent report stated that only 1% of the companies operating in this basin are profitable at current prices. We can’t vouch for the complete accuracy of that number but it makes sense given that the Ernst & Young, in a comprehensive white paper earlier this year, reported that it cost the US energy industry $200 billion to find 2 billion barrels of additional reserves in 2014. This works out to $100 per barrel, for those who don’t like doing math in their heads. Despite claims that the US energy industry is operating much more efficiently this year versus the fat and happy boom years, $45 is a long way from $100. We believe something in the vicinity of $70 is a reasonable marginal production cost estimate, even in the USA with its abundance of highly creative and entrepreneurial energy operators. Obviously, that number is still far above current quotes and doesn’t allow for a profit component, something even wildcatters like to earn. If the prevailing selling price was well below the cost for recently discovered (and discoverable) production, you would think there would be a collapse in the drilling rig count, mass layoffs, draconian cuts to capital spending plans, and a rising tide of bankruptcies among weaker energy producers. In reality, that’s exactly what we are seeing today. It may not have been quite as extreme back in the late 1990s, but it was no cake walk. The industry adjusted with a wave of mergers and radical cost-cutting. Despite depressed stock prices and juicy dividends, it was nigh on impossible to get most investors to stick with energy issues back then—especially with the NASDAQ rising 86% in 1999. Yet over the next three years, from March of 1999, when The Economist wrote its oil’s-not-well article, until March of 2002, Exxon and Chevron went on to return 10% and 4% per year, respectively. In contrast, the NASDAQ lost 9% annually, despite a monster gain in 1999. Now, that’s a major reversal of fortune. Could anything like that be in the offing as 2015 comes to a close? High anxiety equals high returns. As I wrote at the outset, the late 1990s were a very painful period for yours truly. 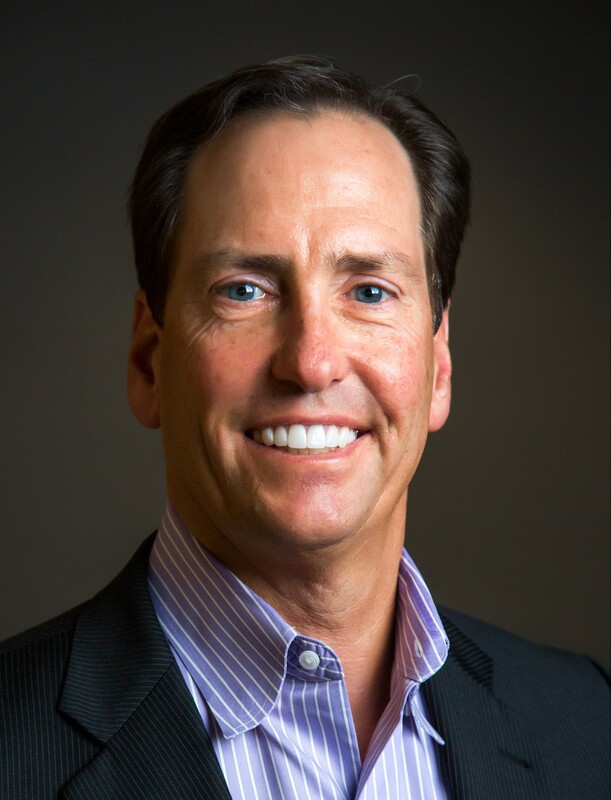 Over the years, from 1979, when I started as a smiling-and-dialing stockbroker, until tech stocks went vertical, my client base had been remarkably stable, with a decided growth trajectory. But in 1998 and 1999, I lost at least 10% of my “book”. Investor tolerance for depressed energy stocks or deeply out-of-favor financial issues was almost non-existent except for those cherished souls who, fortunately as I found out, made up the bulk of my clients. Nonetheless, it was the most excruciating phase of my career—up until now. Dollar-cost-averaging into the vicious mark-down of MLPs, and the nearly as brutal de-rating of Canadian REITs, combined with a severe spread-widening episode, has put extreme pressure on our income portfolios, despite high cash and treasury bond holdings. The only time I’ve seen such a disparity between yield instruments and the stock market was during the terminal stages of the roaring ‘90s. It should be a source of comfort that some of our best-performing competitors in the income space over the last 15 years—Franklin Income and Loomis Sayles Bond Fund—are posting similar numbers. It should be, but it isn’t—at least not much. What is truly comforting are the yields we are attaining for clients by gradually purchasing equity income securities with yields of 9% and often quite a bit higher. We continue to wonder how the baby boomer generation is going to generate livable cash flow from their investment portfolios if they are unwilling to buy equity income securities after they’ve been thrashed. The idea of sitting in very high-grade and very short-term bonds indefinitely just isn’t going to cut it. Yes, the volatility that comes with securities like MLPs can be off-putting but it goes both ways. At this point, if history is going to rhyme at all, future fluctuations should be largely to the upside. In the late 1990s, most investors were flocking to the incendiary parts of the market (read: tech) that were clearly offering return-free risk. There was simply no way 100 P/E stocks like Cisco, and even Microsoft, were going to produce satisfactory gains. In fact, despite the NASDAQ having recently made a new all-time high, it is essentially flat with where it stood nearly 16 years ago. Over that same period, the now-detested MLP index has provided a total return of 427%. These days, the numbers are equally clear that the S&P 500 is priced to deliver very low future returns. In actuality, this was also true a couple of years ago but the market has overshot on the upside, in another echo of the late 1990s. Yet, just as was the case when Y2K was dawning, that doesn’t mean an investor can’t make money. There are many more opportunities to do so now than there were in the summer of 2014—if you are willing to go where true capitulation is in full force, which is almost everything and anything resource-related. A tale of two clients. If Charles Dickens were alive today, I think he’d be repeatedly trotting out his immortal line: “It was the best of times, it was the worst of times...” There are so many aspects of present-day life for which that is the perfect tag-line: the jobs market, the overall economy, our national self-image, and the geopolitical status, just to name a few. If you are a software engineer, specializing in cloud or social media applications, it’s hard to imagine a better scenario. But if you are a petroleum engineer, you are probably thinking about going back to school to get a computer sciences degree. Certainly, when it comes to America’s view of itself, we are light-years removed from the confident and optimistic nation we were as the 20th century (and the second millennium) came to a close, despite the S&P 500 levitating near record levels. Writing this flashback EVA issue brought to mind two telling conversations I had with a pair of clients during the zaniest phase of the tech mania. Both were very wealthy and congenitally risk-averse. Both had been almost exclusively invested in bonds for many years. And both were itching to buy stocks back in 1999. Client #1 asked me for a proposal on how my team and I (this was pre-Evergreen) would suggest they deploy money into stocks at that point. Due to the aforementioned stealth bear market in value/old economy stocks, I made a passionate case for buying those sectors and almost totally avoiding tech and telecomm shares. Unsurprisingly, the performance numbers I showed them for a couple of solid value strategies were appealing but not nearly as much so as were those from a local trust company that had consumed the tech kool-aid. Said client went with the hot track record and was soon sitting on millions in losses. For a client who, in prior years, couldn’t tolerate even minor draw-downs, this was a devastating outcome. Client #2 correctly felt that he was overweight municipal bonds and needed to diversify into stocks. A believer in efficient markets and indexing, his preferred vehicle was an S&P 500 index fund. Like me, however, he was convinced the overall market was insanely over-valued. But, unlike me, he didn’t believe there could be huge segments of the S&P—like pretty much all value stocks—that were under-priced, in some cases dramatically. He did nibble on one or two double-digit yielding MLPs but he basically elected to sit on his cash and bonds. Consequently, it’s fair to say that I failed both clients, at least when it came to my powers of persuasion which, obviously, weren’t very persuasive (again, the more things change…). But, to Client #2’s great credit, he stuck to his convictions and then was a buyer toward the tail-end of the grinding 2000 - 2002 bear market. Tragically, Client #1 (so I was told later) sold out close to the bottom after locking in horrendous losses. Ergo, for me, this was not exactly a Frank Capra-like happy ending à la “It’s a Wonderful Life” (almost everyone’s favorite Christmas movie). If there is no fairytale ending is there at least a moral to these stories? I think so and I believe the key message is that in the long-run valuations do matter. If you radically overpay for stocks, and don’t get out in time, you are going to lose money even over many years (it took the NASDAQ a decade and a half to get back to its March 2000, apex). It also should be clear that some sectors can be attractive, even in a clearly overpriced market, such as today’s. Just as in 2000, an excellent starting point for future out-performance would be those market segments that have been serious laggards. In that regard, I don’t think you need to see much more than the following chart. As they say, a picture is worth a thousand words and—quite possibly—millions of dollars. ENERGY SECTOR DIVIDEND YIELD RELATIVE TO S&P 500 DIVIDEND YIELD ENERGY DIVIDEND YIELDS AT NEARLY 20 YEAR HIGHS VERSUS THE MARKET! Yes, David, I do remember those days of the late 1990’s. I agree with you about today’s condition. I,as well,hope that folks are listening.